Tackle winter weather in your suv, light truck or crossover with the Artic Claw Winter XSI, a premium winter tire designed to offer dependable winter performance along with a smooth, quiet ride. "D squared" sipe technology (density x depth) incorporates a dense zig-zag sipe pattern for enhanced winter performance while maintaining excellent wet traction. Variable sipe depth maintains element stability while optimizing winter performance. Snow groove design technology provides biting edges for excellent snow and ice traction. Notched circumferential grooves and deep lateral grooves optimize evacuation of water and slush from the tread contact patch. 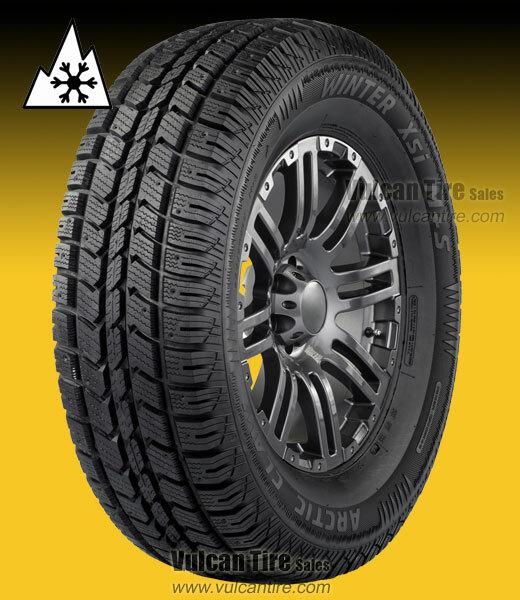 Features a dynamic high traction tread design pattern that blends traction with ride comfort. Also available with metal studs for the ultimate in ice traction. For the studded version of this tire click here.